Gatherings, sessions, competitions. Events. They are what keeps our community connected, what keeps us together and they are essential to stay inspired and motivated. Sometimes organized by crews and collectives, but most often hosted by individuals who are dedicating all their time towards one or two days of madness and who are taking the risk on their own shoulders. We invited five of these individuals to talk about the ups and downs of organizing events. We want to hear about the differences in each country, their motivation, the struggle of financing it and the joy and tears after it’s all done. This one is for everyone who is thinking about or already working on an event in their own country. 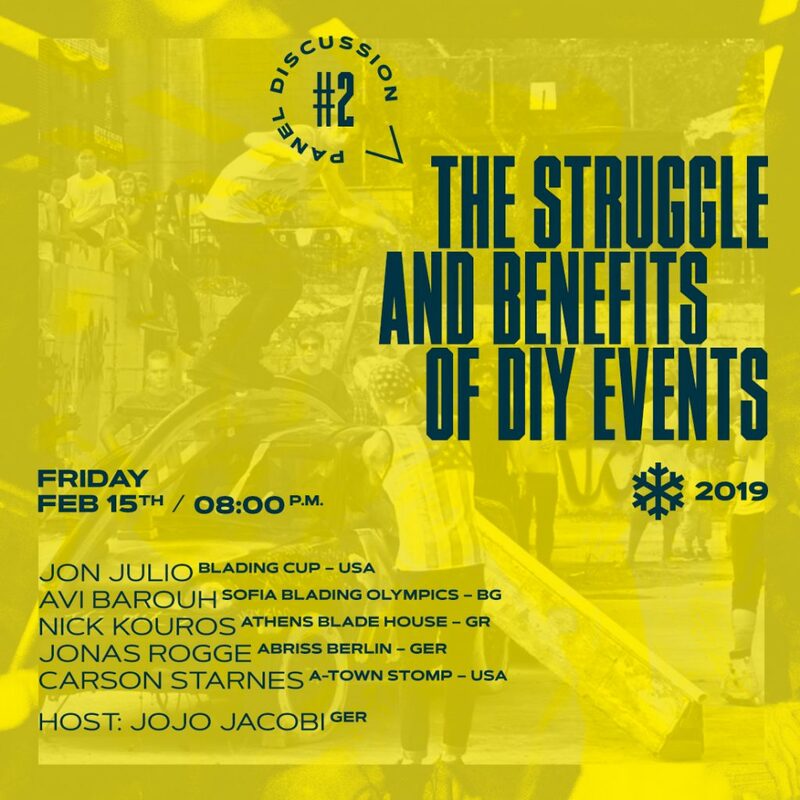 A panel discussion to learn from each other, to get inspired or to just hear about the stories behind some of the most important and innovative DIY events in blading. Date: Friday, February 15th, 08:00 p.m. – 09:00 p.m.